Allah Almighty sent a line of prophets to liberate humanity from the clutches of evil and animalistic desires. They showed them the path of love and ‘Marafah’ to purify their inner selves, so that they could establish durable relationship with Allah Almighty. Our beloved Holy Prophet Hazrat Muhammad (s.a.w) came at the end of this chain. After him, there will arrive no prophet and Rasool Allah, and it is obligatory on all the creations of Allah to follow him. His teachings have been perfected for all the ages to come. Salvation both in this world and the Hereafter depends on obedience to the Holy Prophet (s.a.w). After the Holy Prophet صلى الله عليه و سلم, Allah Almighty consigned the great responsibility of showing the right path to the Ummah and declared this to be the best of the good deeds. After the Holy Prophet صلى الله عليه و سلم his companions discharged the duty of preaching religion with full trust and devotion, and fully justified their love of the Holy prophet. After them, Aulia of this Ummah exerted wholeheartedly in propagating the teachings of Islam. Even to this day, these virtuous people of the Ummah are busy in inner and outer reformation of the Muslims. Today we are presenting an introduction of such a Wali-a-Kamil who has spent his whole life in preaching Deen and reformation of Muslim Ummah. He is getting on well with all his energies in this mission. The forefathers of Hazrat Sahib lived in Bakaniar (Hindustan). Nobility, respect and dignity have been a distinguished mark of his family. Moral integrity, probity and uprightness have been chief attributes of his house. After the emergence of Pakistan, his father migrated and settled in Haroonabad District Bahawalnagar. Hazrat Sahib was born here in 1st October, 1955. His parents named him ‘Muhammad Maqsood Ellahi’, and his very name reflected that this innocent child would one day become sought-after of Allah Almighty and love of Allah will be goal of his life. Being a member of an educated family, Hazrat Sahib naturally got attracted towards education right in the beginning. In his childhood, he lived with his maternal grandfather in Okara and it was here that he passed his first and second class school examination. Afterwards, his parents left Okara and settled themselves in District Nawabshah. Hazrat Sahib passed his third and fourth school classes from Islamia High School (Nawabshah). Then he was admitted to D.C. High School Nawabshah where he studied till 5th. Class. After having passed Matriculation examination, he got admission in Government Degree College (Nawabshah) and obtained his B.Sc. degree. Next, he passed M.Sc.in Chemistry from Sindh University. Later he was selected as lecturer in Chemistry in Government Degree Science and Commerce College Orangi Karachi. He served there for about nine years. Then he was transferred to Inter College North Karachi, where he has been serving as the Head of Chemistry Department since then. He follows the school of Al-Sunnah Al-Jammat, (Hanafi Order). He belongs to Silsila Naqshband in his spiritual lineage. Mentally and naturally he likes the ideas of Sufia Ikram. Whenever a person of any school of thought comes to him, the former can not resist the charm of his pleasant disposition. His open-mindedness and intellectual broadness is a great boon for the people who can’t help becoming his devotee. Due to his efforts, thousands of strayed people with their heretical ideas and beliefs have found the certainty of true faith and become Muslims with right belief.Human being is the crown of creations. It is obligatory on everyone to respect human being in this capacity. Because when we give love and affection to any strayed person, he can not help changing his sinful life. This element of love and brotherhood is a basic factor in the teachings of Sufia Ikram. to solve economic problems of his Fuqra (disciples). If anyone with corrupt beliefs comes to him, he nicely urges him to repent. Everyone is equal in his eyes. He always tries to please each and everyone with open heart. Even a minor trouble of any Fakir makes him sad. He is never at peace unless it is solved. Doing Zikr cannot be much fruitful unless it is permitted by a Kamil Wali Allah. Zikr and blissful of eye of Sheikh would cure the heart of all its diseases. Performing good deeds becomes easy when Noor of Allah descends into the heart. In his religious gatherings, he urges his devotees to do Zikr regularly. Due to his efforts, thousands of people are busy in Zikr-e-Allah and living virtuous and pious life. Since the time of his student life till today, he has lived his life in preaching Deen. Whether it is hot or cold, circumstances favourable or unfavourable, health good or bad, he is propagating sufistic thought irrespective of any consideration. Since the time of youth until now, he has travelled hundreds of times, solely for the sake of preaching Deen. Every year, during summer and winter holidays, he sets out for the already arranged preaching tour. In June 1992 he went to India and toured eight cities of Hindustan without any rest. These cities include Badiuan, Agra, Bangalore, Haiderabad, Dacan, Delhi, Bombay and Ahmadabad. Besides this, he also went to Central Africa and visited Mozambique and Malawi. He also went over to the cities of Maputo, Nampola, Nicala, Shamoi, Teit, Beira and Johannesburg. After coming back from Africa, he visited Islamabad, Rawalpindi and Azad Kashmir. The people included in his religious circle are scattered in India, Malaysia, Africa and all over the Arab countries, and they are propagating his thoughts in their respective fields. May Allah Almighty endow him with all the spiritual and physical energies in his mission to preach Deen. Besides this, many mosques and schools are being run under his supervision. 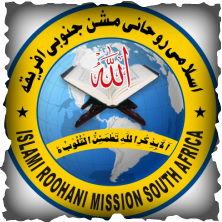 In order to promote this thought on permanent basis, he has also set up an organization, “Islami Roohani Mission” with an august aim to revive the teachings of our religious veterans through the use of cassettes, books, pamphlets and arranging Zikr congregations. Another goal of this mission is to provide our youth with pious leadership. A magazine with the name of “Al-Maqsood” is also being brought out, which is helping a long way in intellectual and ideological reformation of our society. Al-Maqsood Islamic Educational Trust® is a registered trademark of Islami Roohani Mission® and it's a non-profit Islamic institute.